Looking for a tractor compact enough to work in a garden but with plenty of power to make easy work out of tough jobs? 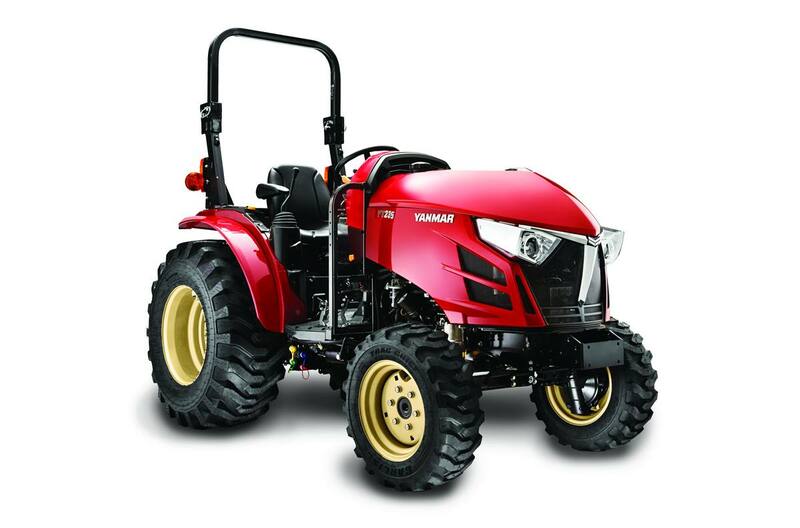 Look no further than the Yanmar YT235. Comfortable and easy to operate, the YT235 packs the power you’d expect from a much larger machine. Industrial (R4) - Front: 25" - 8.5" - 14"
Industrial (R4) - Rear: 15" - 19.6"
Turf (R3) - Front: 25" x 8.5" - 14"
Ag (R1) Front: 6” - 14”, Rear: 9.5"” - 22”; Industrial (R4) Front: 25” - 8.5” - 14", Rear: 15” - 19.6”; Turf (R3) Front: 25" x 8.5" - 14", Rear: 13.6" - 16"